In this session, Peter James will show you how to get started with using your Computer for keyboard sounds. He’ll walk you through what gear is needed and how to set up a basic MainStage template for keys. 2:08	Why use a Computer for Keys Sounds? What is a Buffer Setting? 18:43 What Specs Should your Computer Have? 25:52:00 Why Should you Use a Computer? 36:50:00 What is a Low Pass Filter? 42:27:00	If you're Using Logic and MainStage Together how do you route the MIDI control? 43:43:00	Can you use MainStage 3 patches in MainStage 2? 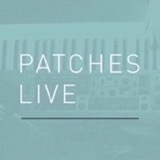 45:50:00	Do you have a Favorite Patch?